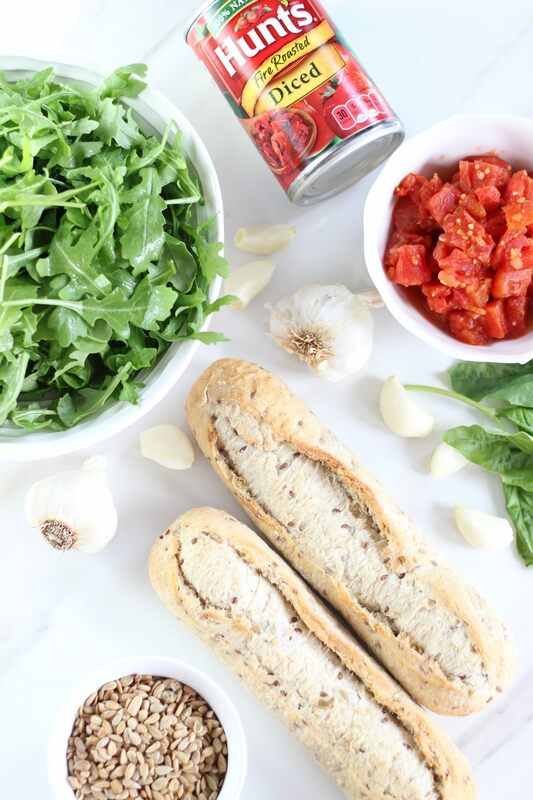 Basil, arugula, and sunflower seed pesto is spread onto olive-oil toasted baguettes, which are topped with roasted garlic tomato Bruschetta! 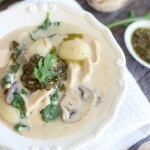 I have the perfect game-time recipe for you! Bruschetta probably sounds too fancy for football-watching, but I live with an Italian, and as far as he’s concerned, every occasion is an occasion for Italian food, including football Sundays. I tend to agree. 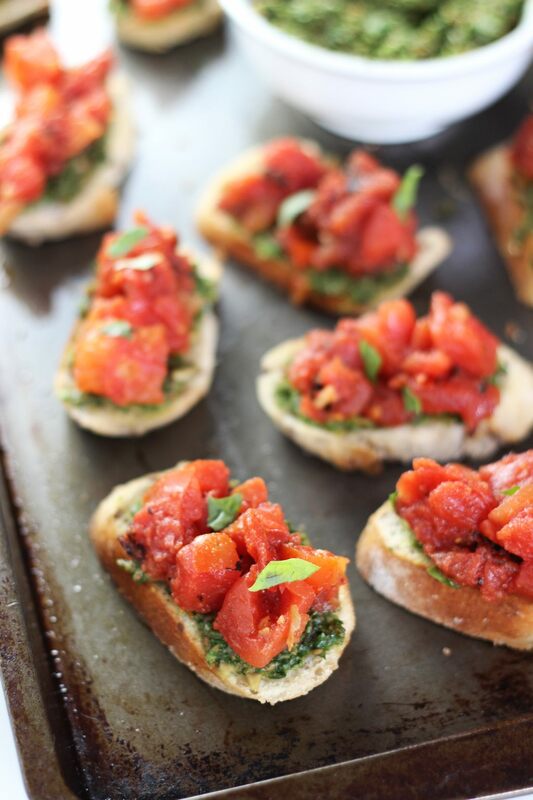 Besides this Bruschetta is ultra-easy to make, and I’ll share several short-cuts that help pull it together quickly for easy, stress-free recipe-making. You can focus on hanging out with friends and family, and on the football games, instead of spending hours in the kitchen. Here’s a simple kitchen hack for you. 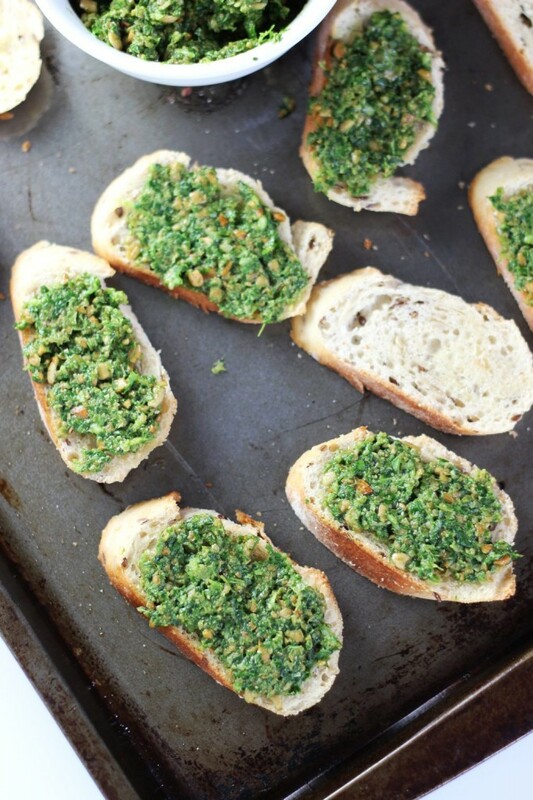 Pesto is so easy to make. 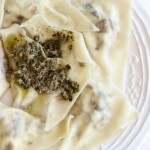 Whether you have a food processor, blender, or chopper, all you do is throw the pesto ingredients together and whirl. That’s it. Pesto is DONE. Any of those devices will work, and will get you fresh pesto in seconds. 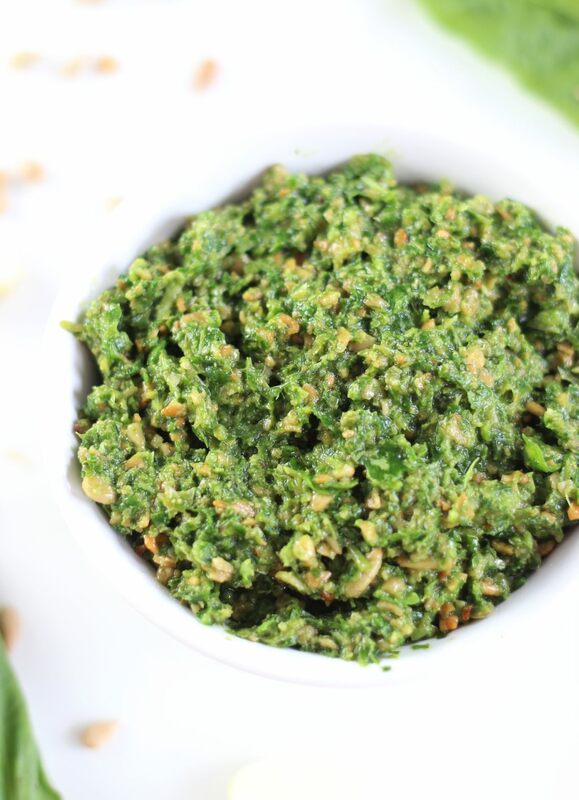 I made this pesto with sunflower seeds instead of pine nuts, and with all the basil, garlic, olive oil, and peppery arugula, you won’t know any differently. I went through a phase in law school where I snacked on pine nuts all the time, and now I just can’t look at them anymore. Lol! Also, they’re wildly expensive. More expensive than macadamia nuts which are basically nuggets of gold. 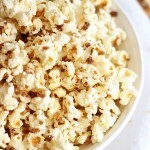 Sunflower seeds are a fantastic and inexpensive substitute, and you really can’t tell! The tomato topping. Gosh, it’s so good. Here’s another hack for you. I mixed two cans of diced tomatoes, Hunt’s Fire-Roasted and Hunt’s Roasted Garlic. 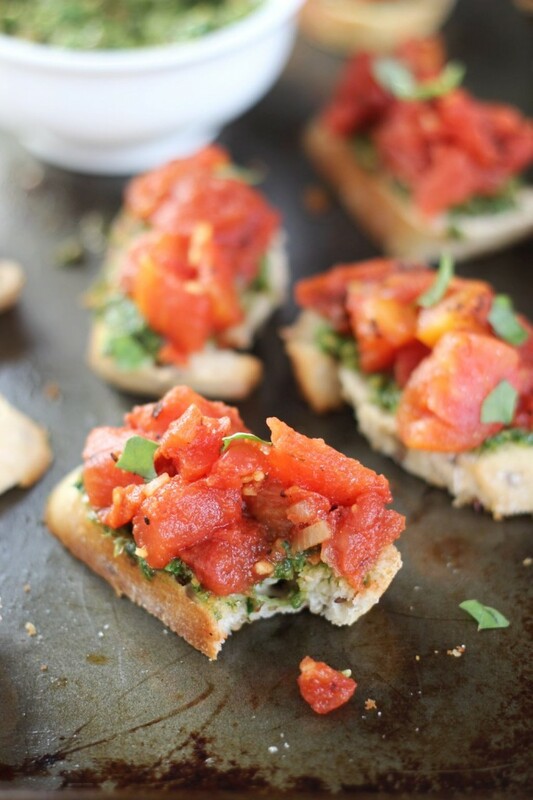 You scarcely need to do anything else for this to taste like perfect Bruschetta. I swear it. 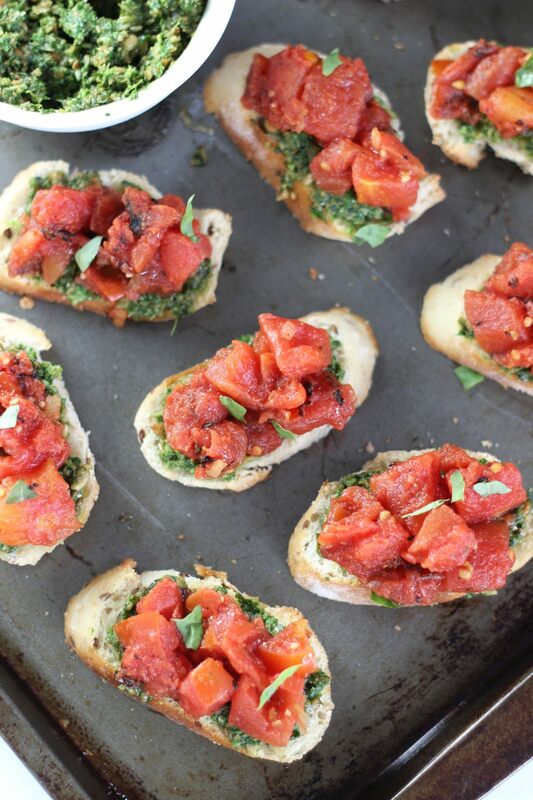 It could not be simpler, and the canned tomatoes are ripe, juicy, and perfectly seasoned. I tore up a few basil leaves, and added some balsamic, but that’s it. The canned tomatoes with the flavorings are basically good-to-go. While I was picking up the diced tomatoes, I also grabbed a few fresh baguettes from the bread section. I sliced them up, brushed them with olive oil, and gave them a quick toast. 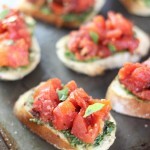 I slathered on the pesto, and topped the bread slices with big spoonfuls of the tomato mixture. When my S.O. came home from golf on Sunday, he tried it and I received an exuberant “Wooooow.” But I also noted a hint of surprise in his tone. You guys, I CAN cook. Although this technically isn’t cooking. Hmmm. You guys, I CAN make savory foods. I really can – I just choose not to! I’m really quite good at it, it’s just not my first choice. Must he act so surprised when I make something savory and it turns out well???? Sheesh. 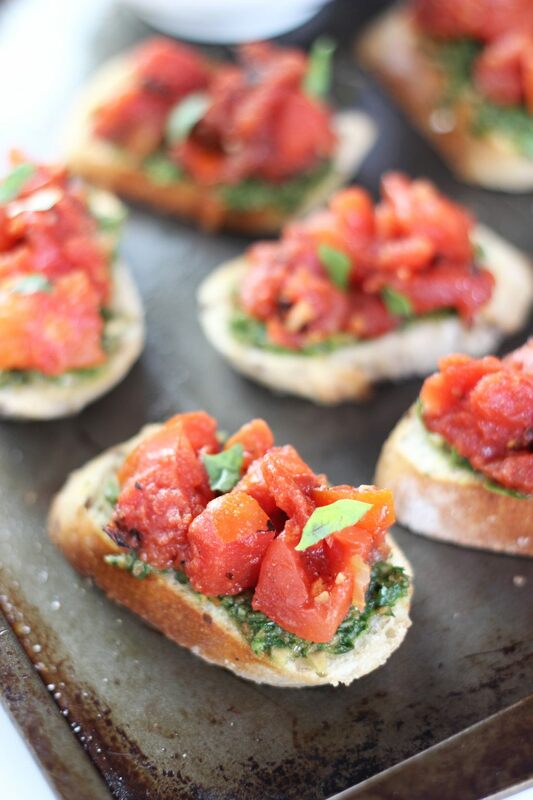 This Bruschetta was a hit. 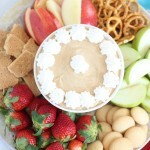 We snacked on these all afternoon while we watched the playoff games. It’s so simple to throw together, so you can enjoy watching football with family and friends, instead of spending time in the kitchen! 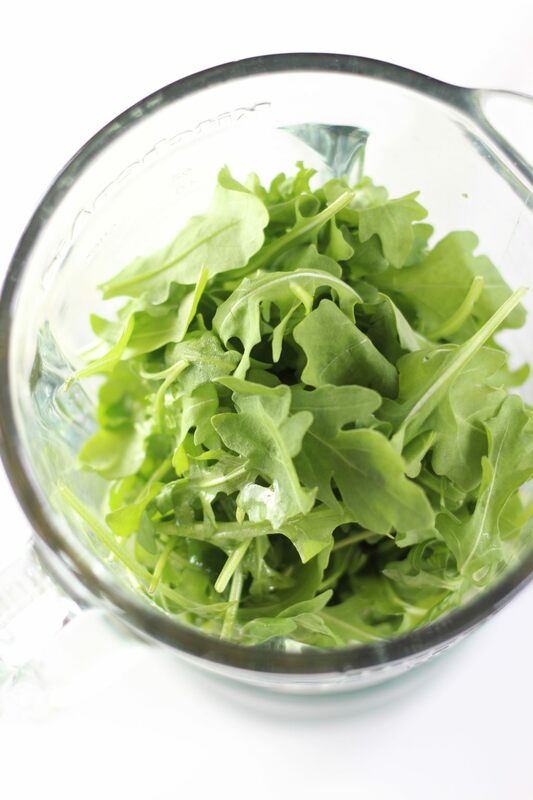 Combine all ingredients in a food processor, blender, or chopper, pulsing until smooth. 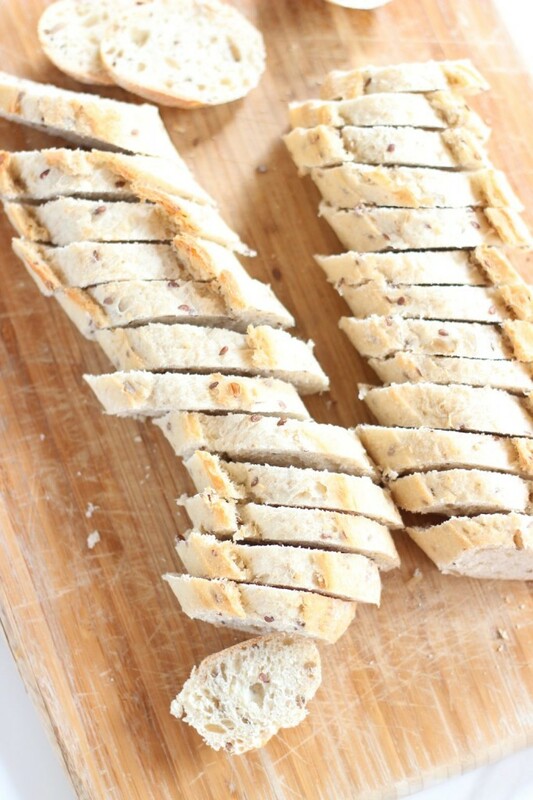 Brush the baguette slices with olive oil. Bake at 350 degrees for 4-5 minutes, or until bread is toasted and golden. 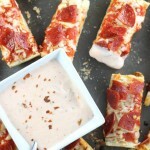 Spread each slice with approximately 1 tbsp. pesto. 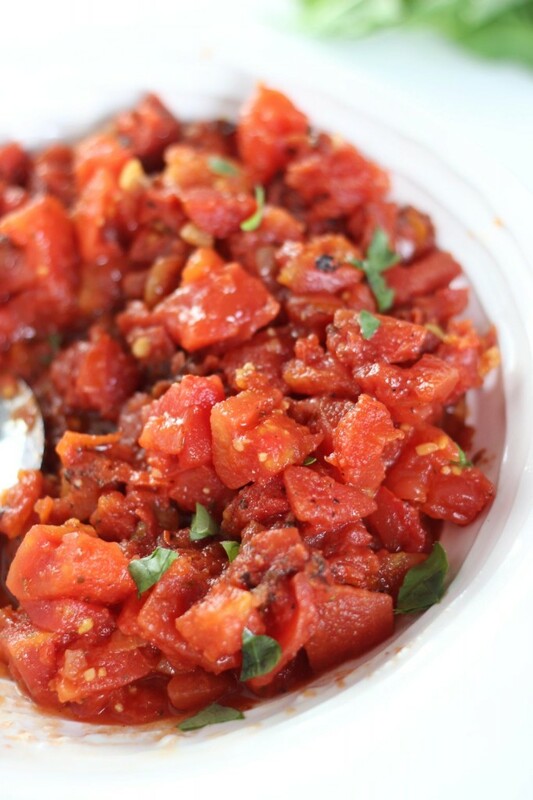 In a large bowl, combine the diced tomatoes, balsamic vinegar, basil, salt, and pepper, tossing gently. Spoon heaping tablespoonfuls of the tomato topping onto the bread slices.